Looking for something fun to do with kids? Why not get them crafting up their very own pet (that leaves you with little to no clean up)! 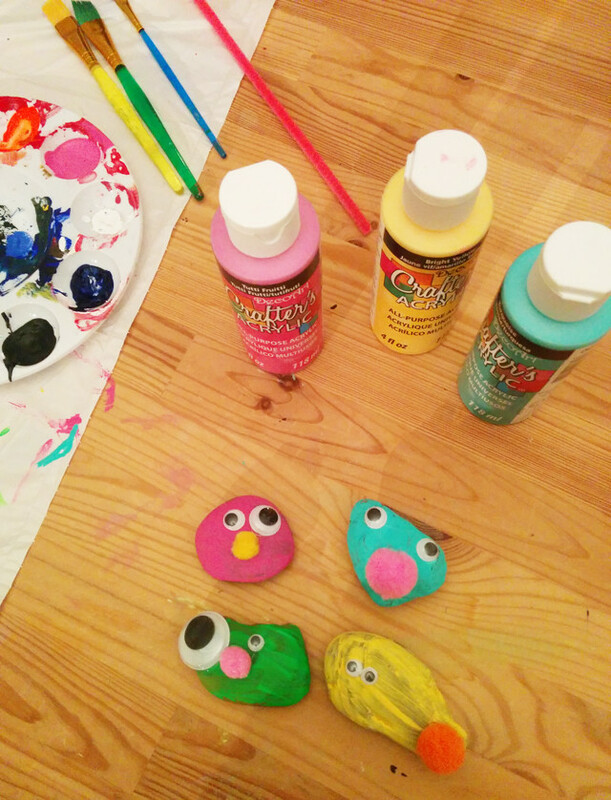 A great craft for any kids able to paint, making rock monsters with the kids is easy and fun. 1. Be sure to lay out some newspaper or a garbage bag before this first step. 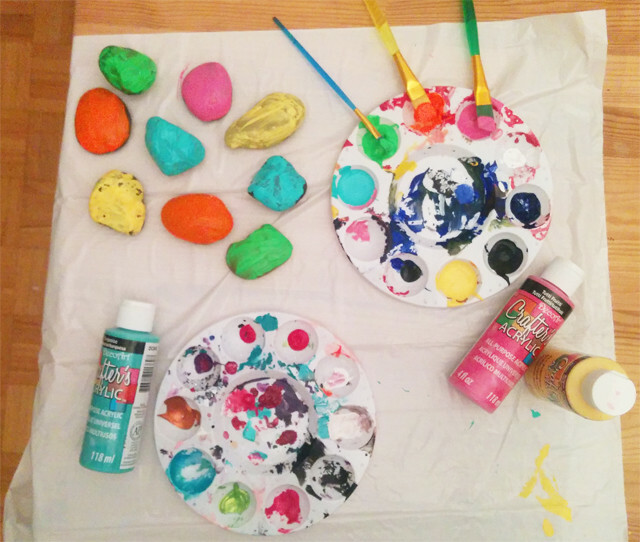 Paint your rocks with any colour you’d like; the brighter, the better! We used acrylic paint (from the dollar store) and it worked a treat. 2. 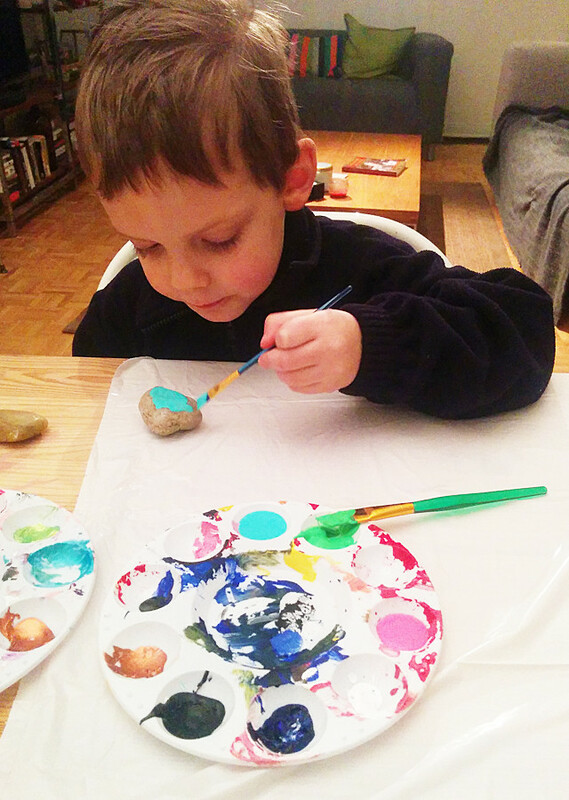 If your kids are patient enough, you might want to let the rocks dry and do another coat. Otherwise, try a few fun pipe cleaner crafts while you wait for the paint to dry (approximately 20 minutes for one coat). 3. Once your rocks have dried, it is time to attach the eyes and pompom nose. Based on your kids’ ages, this maybe the part where you need to step in to help. 4. Use a small amount of your glue of choice (we used a craft glue gun) and attach the pompom nose and googly eyes. 5. Once the glue has dried, you’re done and you and the kids can name your rock monster friends! The sky is the limit with rock monsters; if your kids can dream it, you can do. So add antenna, feathers or whatever else the rock monster seems to be missing!